Happy Halloween! Ok there are so many opinions on Halloween and how Catholics shouldn’t support an event that promotes demons, ghouls and the undead. I agree with them, but we join for the fun, the camaraderie and for the candy. We make it a point to choose the costumes and not have any of the evil ones. This year I was Robin Hood and Des was a Filipina (last minute kasi!). 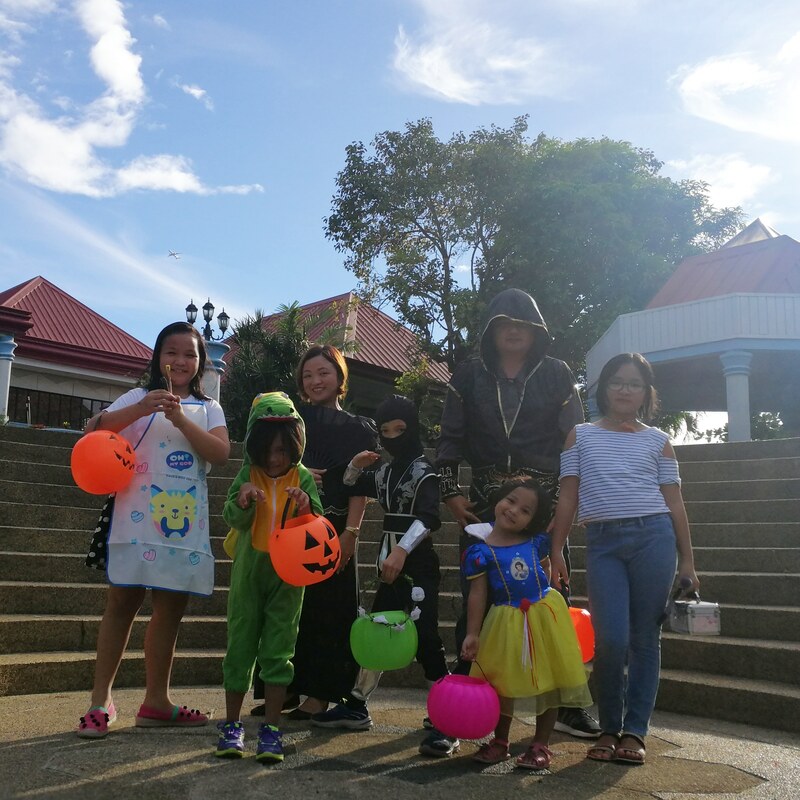 And the kids were: a painter, a make-up artist, a ninja, a dinosaur and Snow White. It was the first big event in our village, and the kids were so excited to finally meet other kids from the village. And that’s what it is about for us: making new friends and having a lot of fun. It does not have to be scary. We have been here almost a year, and now the kids know the other kids (and there are a lot of other big families in this village too!). What a fun afternoon (and for me, hanging out with the other dads until the evening *gulp *gulp), and good fun for everyone. Halloween can be less undead and more candy 🙂 Thanks for the great time!